© 2018 Samba Villas. All Rights Reserved. We have several packages that will suit your need for the ultimate spa experience. A stress free experience from head to toe that certainly would not break the bank. A sumptuous natural hair and scalp treatment using a traditional conditioning treatments, gentle head, neck and shoulder massage will gently awaken the senses and calm the mind. These luxurious grooming treatments for hand and feet include an aromatic soak, scrub and soothing massage. Warm wax is applied to the skin in a thin layer. The hair becomes embedded in the wax and a strip is applied and then pulled off quickly, in the opposite direction of the hair growth, taking the hair with it. A unique treatment that blends traditional massage styles with age defying methods and especially blended ingredients. 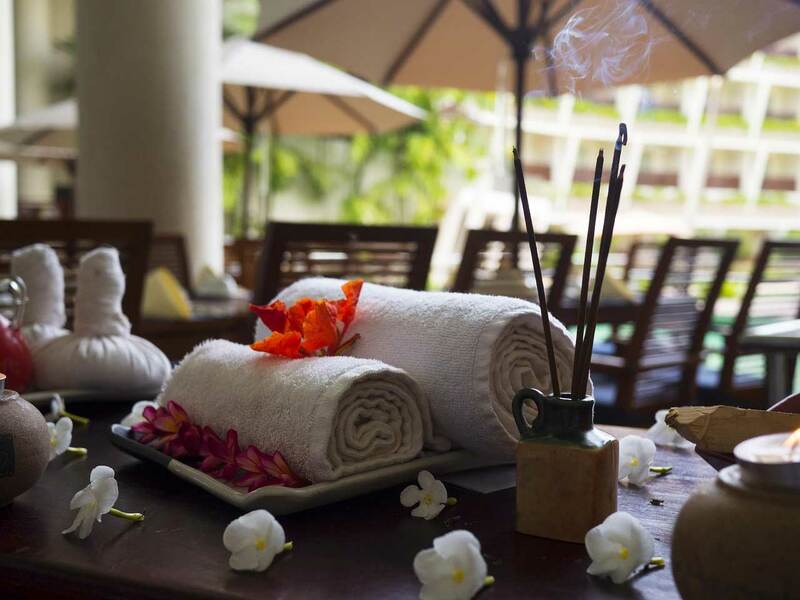 Dayang spa signature facial includes a rejuvenating hand and arm massage to completely relax and calm the entire body. This scrub will moisturizer, soften the skin and apply with natural conditioner followed by body lotion to the end. Exfoliate your skin and leave your skin smooth and glow with a healthy radiant. Release your stress and tension with a muscle-melting massage from Gili Trawangan most beloved day spa. Whether you prefer the gentle pressure of our signature dayang massage or the structural release of deep tissue pressure, Dayang spa’s massage treatment is always customized to meet your individual needs. Using only the best natural and organic ingredient to ensure the ultimate spa experience, a relaxing experience for your body & soul. Samba villas and wellness’s signature villa, from the beachfront villa, the beach, your own private paradise, just steps away. Enjoy the luxury of your own private plunge pool, this spacious villa for 6 offering direct pool access and sea views. Villa comes with a dining area, kitchenette and separate living room. A spacious bedroom and living room are adjoined in our Family Suite. Furnishings including a comfortable sofa and a writing desk with internet access capability complete this family-friendly environment. In addition, the bathroom is equipped with a shower booth to create a more relaxing bath time. The bedroom is decorated in relaxing white and brown foundation colours, inviting a comfortable rest, with a gentle lighting, and including a king size bed and two single beds. This suite faces the garden and gets ample sunlight and fresh air. The perfect accommodation for your family holiday getaway. The Garden Villas get their name from the lush landscaped gardens they overlook. Each room within a two-room villa is spacious and offers a cosy ambience. For large families, interconnecting rooms are available with private bathroom for each room. Enjoy the lust garden view from the privacy of your own balcony. These Deluxe Rooms let you relax as you admire a beautiful view of the garden. Stay connected as you enjoy our free WiFi and watch movies with our 32-inch LCD TV and DVD player. Refresh yourself as you take a step into our rain shower. The well-equipped Deluxe room offer a spaciousness that lends itself to a sense of at-home living. Whether visiting for a luxurious holiday or long-term business trip, these rooms will offer a true sense of relaxation that only Samba Villas and Wellness can offer.